Tom Trimble has been a trial lawyer since 1983, and has devoted his practice to representing victims and their families in personal injury, wrongful death, medical negligence, product liability, and insurance bad faith claims. He has successfully represented hundreds of injured victims and has achieved multi-million dollar results in numerous cases throughout his career. He holds the highest possible peer review rating of "AV" (preeminent) from Martindale-Hubbell for legal ability and ethical standards. Before entering private law practice, Mr. Trimble worked for several years as a claims representative handling serious personal injury and wrongful death cases for a major automobile insurance company. He has lectured regularly at continuing legal education seminars in the areas of personal injury, trial practice, and insurance bad faith law. 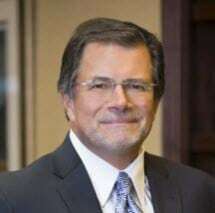 He holds bachelors and masters degrees from Bowling Green State University and received his law degree from Capital University Law School, where he was an editor on its Law Review. He is licensed to practice in all Ohio courts, the federal courts for the Northern and Southern Districts of Ohio, and the U.S. Supreme Court. He serves as a Trustee on the Board of the Ohio Association for Justice (formerly the Ohio Academy of Trial Lawyers). He is also a member of the Columbus Bar Association, the Central Ohio Association for Justice, and serves on the Board of Ohio Citizen Action, an environmental organization.